Sara made some changes recently that have brought greater motivation and happiness to her and her family. She's also in love with thrifting! Her boys, Owen & Alex, are totally sweet. Lish is afraid of snakes and has been rejected by multiple body piercings. She has a lot of heart, and she'll show you how to wear yours three different ways. I can totally relate to her frustrations here. Beth takes pleasure in the simple things in life. She recently shared a few thoughts on less-known social networking sites. Have you read "The No Brainer Wardrobe"? Beth has a great review here. Melissa just bought the hottest shoes I've ever seen. She knows how to make a puffy coat look good. And the lady knows how to braid! Sarah encourages me daily, for that I am very thankful! She knows how to share a good word! Have you ever been on a Daniel Fast? Audrey is one photographically talented lady! I love Disneyland. All about her! Elizabeth shares why we should celebrate everything. 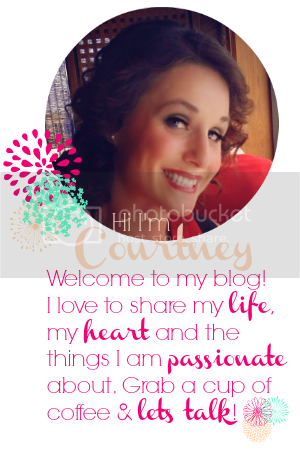 She asks why do you blog? And answers too. Did I mention she can make sunshine? Interested in swapping with me? Visit my sponsor page or email me for more info. Cool recommendations, Courtney. Will visit them when I'm done writing what I'm supposed to. I hope the weather's been treating you well! :) Sounds great, hope you meet some new friends! :) The weather has been very mild!